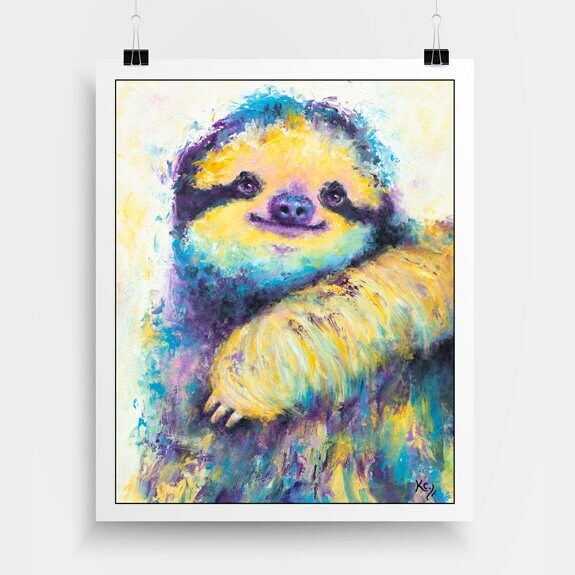 Sloth art print depicting a cute three-toed sloth. 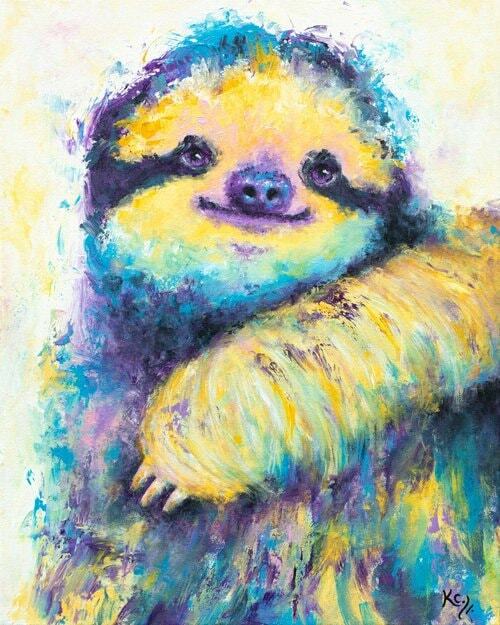 This piece is a giclee fine art print of my visionary impressionist style painting entitled "Three-Toed Spirit Sloth". Super fast shipping and it looks beautiful!! Can’t wait to give this as a gift! Got this as a gift for my sister and she loved it! Almost made her cry! 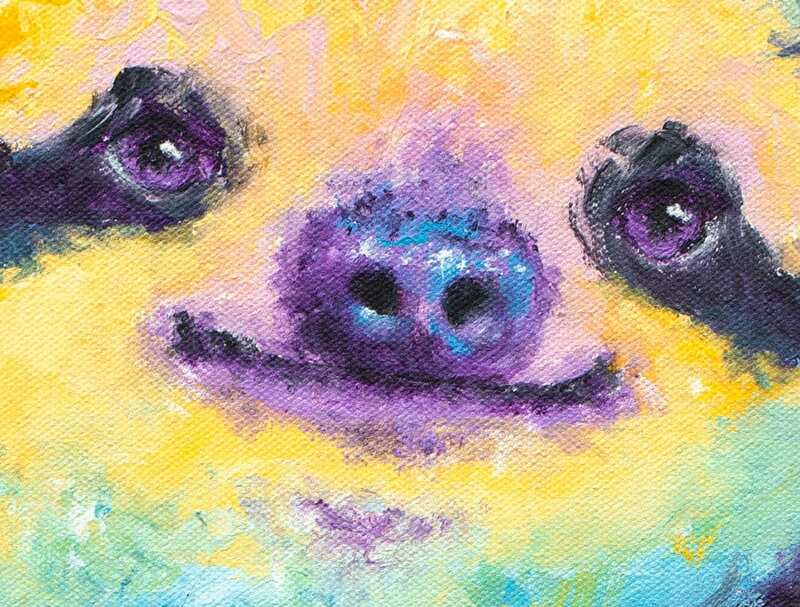 It was shipped fast and the print was beautiful! Would highly recommend! Super cute. 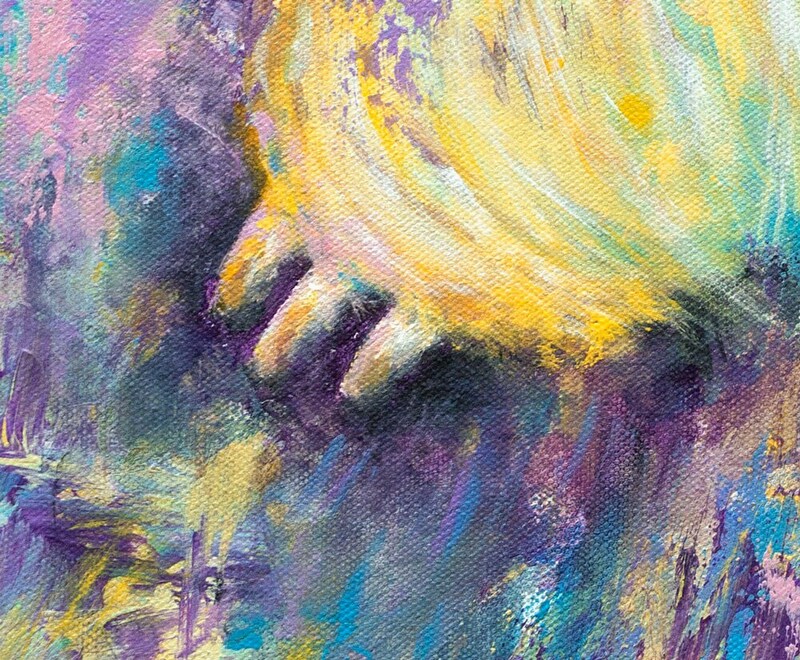 My neice will love it.